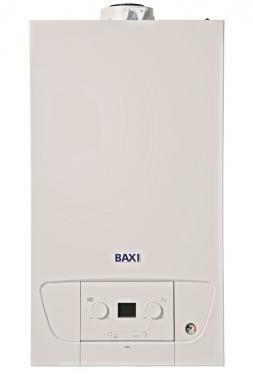 Manufactured and built with durable Baxi parts, the 224 Heat is a regular boiler that’s condensing and mounts to the wall. Regular boilers have some unique pros and cons, but you will need a hot water storage cylinder, a cold water storage tank and a feed and expansion tank. These normally sit in your loft so it is likely you already have this in your home. For a regular boiler, the 224 Heat is highly reliable and has an efficiency rating of 89.2% making the boiler B rated. This unit weighs just 19.5kg so puts it at the lightest boiler in the entire UK - so if weight is a huge issue for you, this will be your top pick. This unit is perfect as a replacement boiler as it’s easy to install & fit in a standard sized cupboard. Baxi is well known for over delivering on their warranties, and with this particular model you are covered for five years.